Holding her son Israel, 3, Pamela Hester-Jones calls for gun violence to stop during a vigil for 15-year-old shooting victim Jeremy Baggett. Hester-Jones' son Lazarus Jones, 13, was killed iin 2007. Chicago mothers who have lost children to violence gathered for a somber event on Mother's Day, calling for an end to the bloodshed. The hot Chicago weekend, was also a very violent one. Eleven people were killed in the city and at least 43 more wounded. Mothers who have lost children to gun violence took to the streets Monday to once again ask shooters to stop the violence. 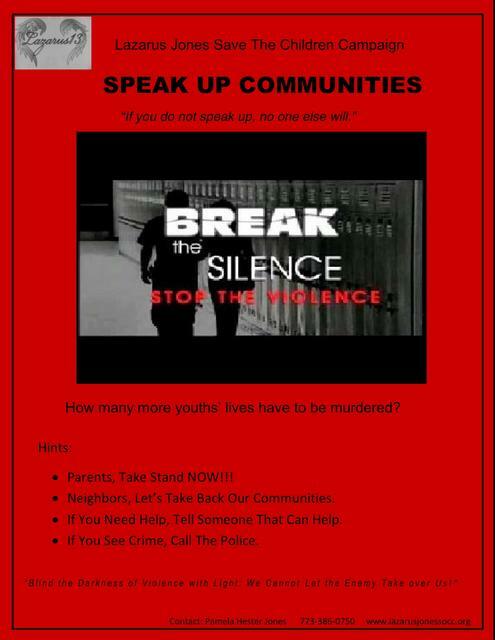 On this Memorial Day, those mothers passing out flyers Monday said they keep calling for an end to violence and one day they hope as least one person gets the message before this pain stops at their doorstep. "We keep hearing about crime being down but what about the murders? Every weekend there's something going on," Elizabeth Perez said. Perez's son was 17-years-old in 2007 when he was gunned down. "There is still a $10,000 reward out for my son. For me to stand out here on this corner my stomach is sick," Pamela Hestor-Jones said. Sick because her son, Lazarus Jones, was killed in 2007, just blocks from where she stood Monday. She says police still have very few clues. Charlene Jones' niece was gunned down last summer while picking out a birthday cake for her 2-year-old little girl. "She's not here and her daughter is still motherless," Jones said. Charges were announced over the weekend against the man who police say pulled the trigger. These are mothers on a mission now. They're tired of the numbers. Tired, they say, of hearing about another mother or father becoming a part of their grieving club. Instead of only thinking about veterans and war heros on Monday, they're thinking of their lost loved ones and asking everyone to break the silence. "There's no army that's fighting for them in the community. There's a handful of people fighting for them in the community and they're dying just like they're in a war zone." On the southwest side this weekend, Dejah Smith was playing in front of her home when a gunman opened fire, hitting her in the arm and two other teenage men. Police say it was gang-related. 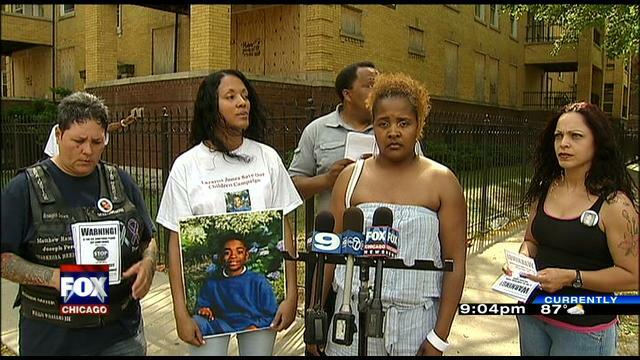 These mothers say it's another innocent victim and another shooting in Chicago. "The crime must stop. I don't just cry out for my son, I cry out for all the parents and all of our youth," Hester-Jones said. That 7-year-old girl is still in the hospital in critical condition. Her mother reportedly says her daughter is going to be okay. The mothers we spoke with say if everyone reported everything they saw, most of these murders and shootings would be solved.